Product #6201 | SKU GXR-135 | 0.0 (no ratings yet) Thanks for your rating! Hosa GXR135 XLR to RCA Adapter. 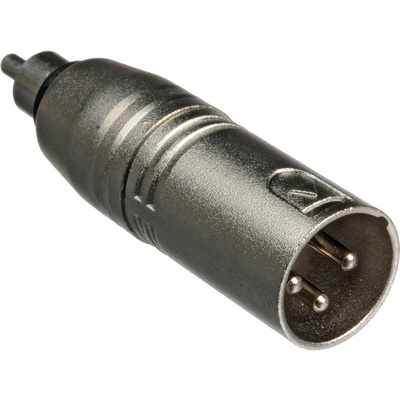 This adaptor is designed to adapt an XLR3F to a phono output. XLR pin 3 is grounded resulting in an unbalanced signal. Patch XLR and RCA devices and/or cables.